A few years back I offered a class in Nature Journaling for both adults and kids at various venues and needed a take home guide to inspire and launch a lifetime of journaling. I wanted it to include some simple examples and also promote the basic approach that nature journaling should NEVER be a competitive drawing competition with pretty pictures.. but something completely different – personal, rewarding, thoughtful, fun and engaging. 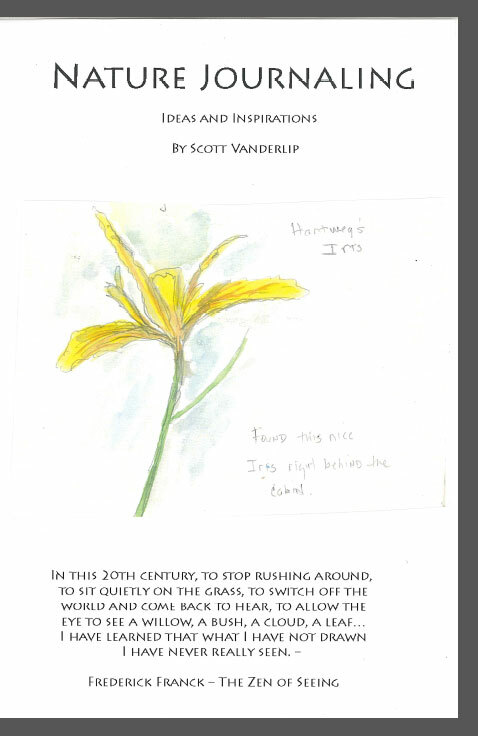 Feel free to download and print if you wish my nature journaling book PDF.